I’m in Colorado for a few days checking out this year’s new lifts. There are six! SAM reports almost all of North America’s ski industry had a difficult Christmas but things are improving. Through January 8th, Vail Resorts skier visits are pacing 10.8 percent below last season and non-Vail-owned Colorado resorts are down 13 percent. Gunstock rope evacuates 27 guests from the Silver Medal lift. A federal judge dismisses a lawsuit filed by a woman who broke her femur unloading the Discovery lift at Keystone. Colorado sides with Winter Park and rules that service dogs don’t necessarily belong on chairlifts. SAM‘s inaugural Summit Series piece brings together industry heavy-hitters and future leaders and not surprisingly, the first two stories quoted involve lifts! USFS and Doppelmayr veteran Michael Lane will succeed Sid Roslund as NSAA’s Director of Technical Services. Electrical fire damages Oakland Zoo’s skyride. A wall of mud partially buries the new Lightning Express at Marble Mountain. The Forest Service accepts Aspen Mountain’s master plan update including the construction of a Pandora detachble quad, removal of Gent’s Ridge and shortening of Bell Mountain. 1A study continues. The end is in sight for a significant midwinter repair to Fernie’s White Pass quad. Colorado Passenger Tramway Safety Board releases its investigation report on the carpet entanglement death of Loveland mechanic Adam Lee. Winter Park calls response to digital restraining bar displays “amazingly positive” and they may be deployed on other lifts and at more Alterra resorts. Mt. Spokane wisely opts to use the Riblet it purchased from Bridger Bowl for spare parts and is now soliciting bids for a brand new triple chair for this summer’s expansion. 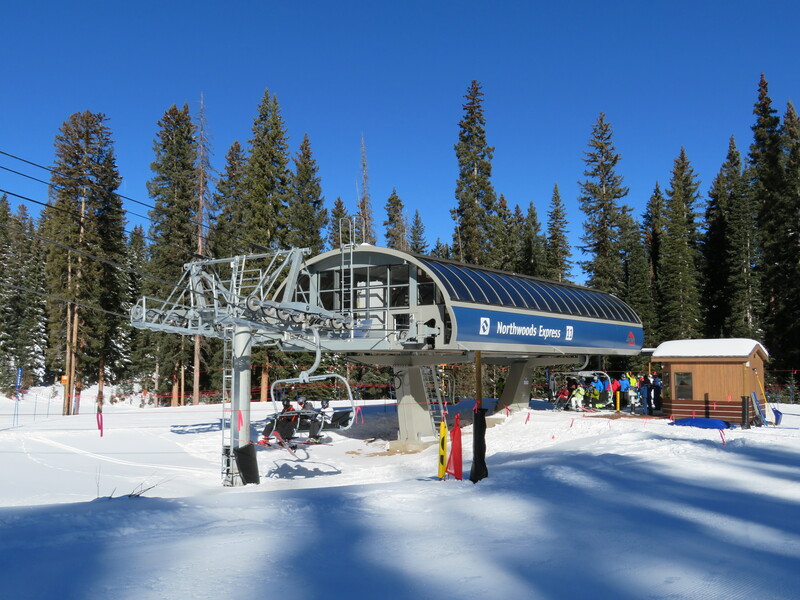 Packsaddle II at Keystone gets the first Skytrac tension-return station based on the Monarch terminal. Searchmont’s 1989 Doppelmayr quad chair will spin this season for the first time in six years. The mountain’s nonprofit owner could not afford to address two service bulletins until now. See how urban gondolas are evacuated if the need arises. Paris’ first urban gondola will be bigger than London’s. With orders from Sandia Peak, the Oakland Zoo and Jackson Hole, CWA has now supplied 2,000 cabins in the United States. Fernie flies a winter’s worth of diesel fuel – 5,300 gallons – to the Polar Peak triple by helicopter. See tons more photos of LST’s first detachable here. 42,584 passengers ride Mexicable in its first two days of operation. The Navajo Nation Law and Order Committee votes 5-0 to oppose the Grand Canyon Escalade. NewEnglandSkiIndustry.com has the latest on all four of New England’s new lifts. The new Doppelmayr DCD Chair will debut in Hochzillertal on one of five D-Line installations to be operating in Austria by the end of the year. Winch cables and chairs apparently don’t mix well. Doppelmayr posts a video tour of the proposed Wälderbahn next-generation 3S with sections of elevated guideways in place of cables. Montana Snowbowl throws in the towel on TV Mountain until next spring. Echo Mountain sale closes and the mountain will open in December.